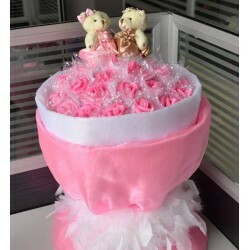 25 pink rose flower bunch with small teddy. Roses packed with beautiful pink and white paper and color ribbon. its very beautiful gift for birthday, anniversary and valentine day.